In the West, globalization has attracted much attention. One result of globalization has been the movement of ethnicities across national boundaries, bringing great opportunities to reach people groups in our own backyards. Ministries among international students and growing immigrant populations in our cities, and outreach in our workplaces, sporting activities, and community associations all offer opportunities to present Christ to a world that is literally coming to us. But reaching people groups in diaspora, essential as it is, has historically not of itself resulted in claiming their homelands and the majority of their people groups for Christ. That outcome still requires the hard work and sacrifice of “boots on the ground.” Yet if the goal of evangelizing people groups requires such presence, the question must be asked: Whose boots? Should they be those of the foreign missionary, or of the leaders of an emerging and often still “immature” indigenous church? The question is a loaded one. Missionaries have historically brought the gospel in a form often encumbered by their own cultural baggage. David Livingstone, the great Scottish missionary explorer in Africa in the nineteenth century, popularized the motto “Christianity, Commerce, and Civilization.” By “civilization,” he understood the best aspects of Western civilization alone as the mature fruit of Christianity’s influence. Developed over the centuries, this influence might displace the local cultures where other forces were found to be in opposition. The problem, of course, is that all human cultures are fallen, and all alike need the correcting plumb line of what God has said in His Word. Bantu cultures may at certain points be more aligned with God’s plumb line than Western cultures. Interaction between cultures can provide the “aha!” moment needed to raise our awareness of previously unconscious and unchallenged assumptions about our worldview and values. An alternative approach is to train those from developing, or majority-world countries and cultures at schools in the West. On the surface, it makes sense. Prospective leaders of emerging churches can receive scholarships and a theological education on par with what Western missionaries might receive, and then return to their homelands to teach others what they have learned, adapting it as appropriate. There are, however, two great flaws in relying too heavily on such an approach. First, many who come to the West to study never return to their homelands and are lost to their national churches. Second, those who do return often find that the education they received largely addresses questions their countrymen are not asking, and their leadership and teaching styles have become so acculturated to the West that they are unable to reconnect effectively with their communities of origin. Issues of lifestyle, educational opportunities for their children, customary roles within marriage and parenting, views of time, tasks, and relationship, of what constitutes “honorable” behavior, teaching and learning styles, and more can become roadblocks to reintegration within their communities. That there are enduring biblical principles to guide believers in every culture who seek to live coram Deo (before the face of God) is not the issue. The issue is rather how those biblical principles need to be worked out in particular cultures, and who is best equipped to grapple with the task. Here is where the global church can both learn from and offer something to churches being planted among people groups in the majority world. An approach gaining traction today is to provide opportunities for proven leaders, already recognized as such among their own people and with clearly evident potential for growth and learning, to study within their own countries of origin, primarily under teachers who also share their heart language and culture. Such study may involve their continuing to serve and apply what they are learning within their own culture as they are being taught. They are not uprooted while they study. Yet the benefits of being challenged to reexamine their own cultural assumptions are still present, as they may receive exposure to visiting teachers whose diversity helps to mitigate the imposition of any single outside culture. Scripture is examined from multiple cultural points of view, and culture is critiqued from multiple biblical perspectives as well. In the past, the cost of such training was prohibitive, but new technologies are revolutionizing the lives of previously isolated people groups, and smartphones are becoming commonplace even in many remote villages. 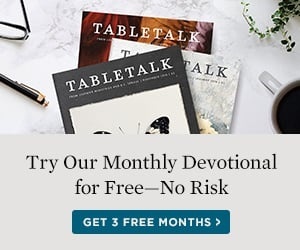 Ministries such as Third Millennium and Ligonier are bringing quality biblical content to pastors who have little education or pastoral training, as teaching materials are made inexpensively accessible through translation and electronic media. Wycliffe Associates now provides translators with kits that accelerate the process of translating the Bible into languages that do not yet have it. Such supporting technologies make it possible to raise the biblical literacy and theological understanding of grassroots leadership in the churches of the majority world, a priority long recognized but largely unrealized until now. The paradigm of training leaders within their own cultures, with support from schools, occasional outside scholars, and well-trained teachers from within their own country, and enhanced by new communication technologies, is at last beginning to emerge. Gospel-centered missions is entering a new era. Dr. Samuel Larsen is professor of missions emeritus at Reformed Theological Seminary in Atlanta. He previously served as a missionary, a U.S. Navy chaplain, and a regional director for Mission to the World.